Right now, this feature mostly behaves like Facebook's chat heads. You can move notification bubbles around on your screen, and they stay on top of any activity that isn't full-screen. 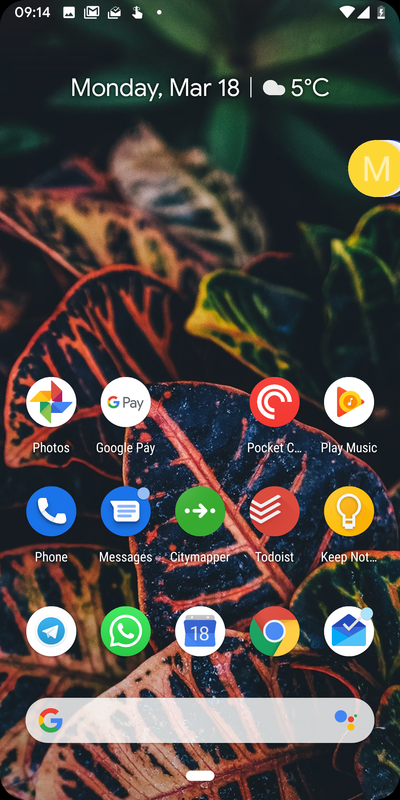 To dismiss them, you can move them to the bottom of the screen, which works both for individual bubbles and all of them at once (although right now, dismissing a single notification will make all disappear). 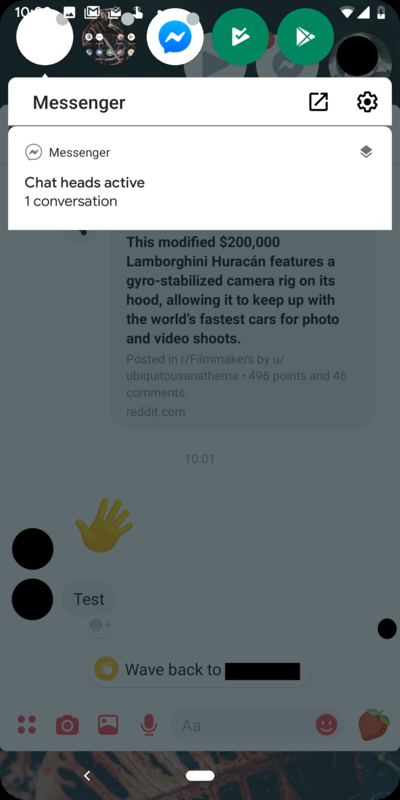 When you tap on the stash of bubbles, they spread out at the top of the screen, and you can see their content, including the usual quick actions like replying — making conversation possible within the bubbles. 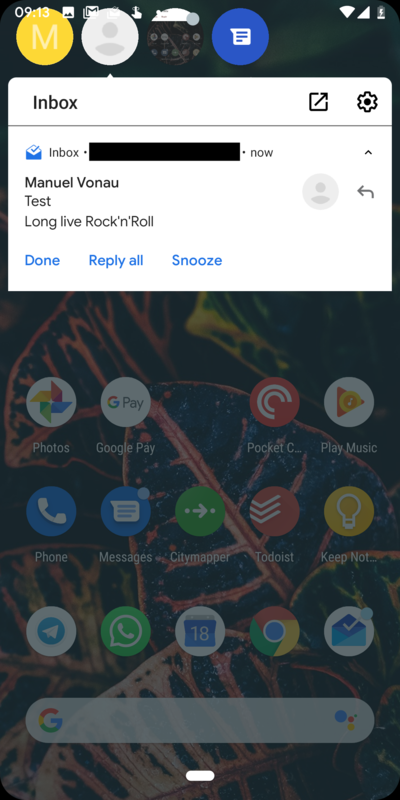 Along with that, there are also shortcuts at the top to enter an app's system notification settings and an extra button to open the app, which does the same as just clicking the card below. 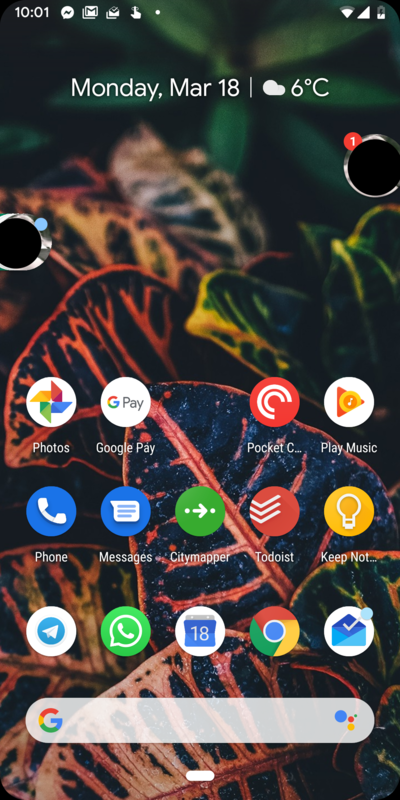 Left: Android Q notification bubbles on the left, Facebook Messenger chat heads on the right. Right: Android Q notifications and Facebook Messenger chat heads both opened. I had to restart my phone to remove them completely after punching in the commands. It remains to be seen where this experiment is heading. 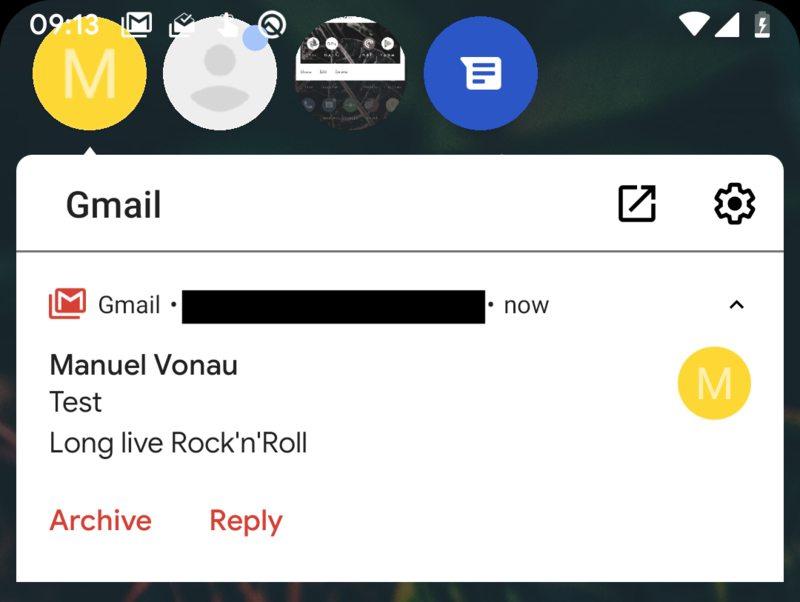 I can't imagine Google revamping notifications completely. Dragging down the status bar is embedded deeply in our muscle memory, both for Android and iOS users. 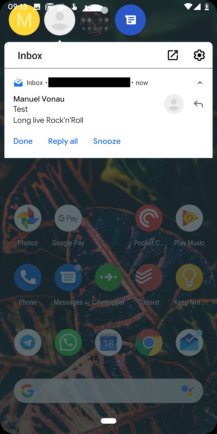 However, I can see that with screens getting ever bigger and new form factors like folding screens, we might need to rethink notifications for some devices at least — and this test shows that Google keeps that in mind.